This Picture of Newly Weds Urmila and Mohsin Chilling Together is Adorable! 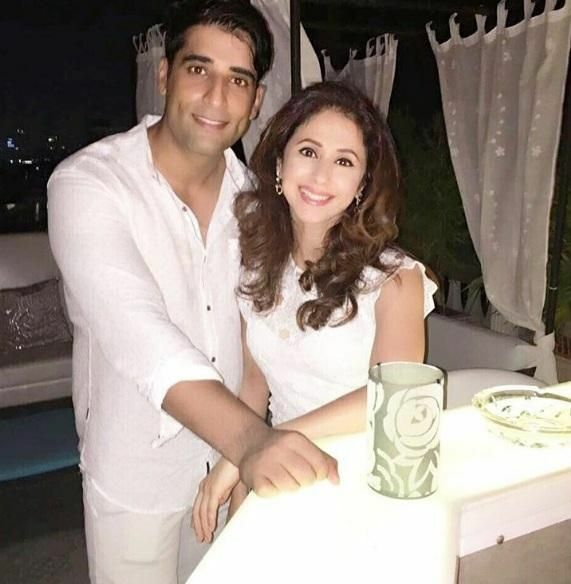 Urmila Matondkar and beau Mohsin Akhtar tied the knot earlier this year, in a quiet ceremony. After the hush hush wedding affair, the two took off to Amritsar to seek blessings at the Golden temple. Later the newly weds were spotted spending time together in Kashmir. And though the two haven’t been often captured by the media, few pictures by the two which have made their way online, definitely make you smile. In this latest picture, the adorable couple is seen smiling and posing for the camera as they look stunning together in white. We think they look very cute together. How about you guys?